In this time and age, mobile banking is a thing and Wema Bank USSD banking platform does come in handy if you happen to have a wema Bank account. Wema Bank transfer code entails using a USSD code in conducting banking transactions right on your phone. What’s even more interesting about this is, unlike the wema Bank mobile app which requires internet connection, the USSD code doesn’t. What this means is, you can conduct transfers and other banking transactions without the need for an internet enabled phone. This is similar to what ecobank ussd service offers. Wema Bank USSD code is *945#. With this code, you can carry our banking transactions. 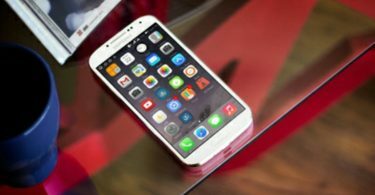 In this article, we will be discussing the features this brings to the table. We will also be discussing how to register for wema Bank transfer code and how to conduct some transactions using the ussd code including transferring money and buying airtime. This service is only open to wema Bank account holders. If you use an account from a different bank, you should refer to the bank’s USSD code. To use this service, you must have an active phone number registered in your bank account. This is same number used for transaction alerts. Service is open to MTN, Glo, 9mobile and Airtel subscribers. This service is available 24 hours everyday. Meaning, even at really odd hours, you can still use this service. Having discussed those, let’s see what features this service brings to the table. Wema bank USSD service is a safe and secure ussd banking platform. With this service, you can carry out daily banking transactions with ease from the comfort of your mobile devices. 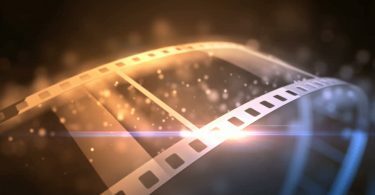 Having mentioned the features, let’s look at how to get started. Registering wema Bank transfer ussd code makes it easy for you to carry out transactions on your phone using passwords. This password will be needed in validating money transfers, bills payments, airtime purchase to another number, ET cetera. To register and generate pin, dial *945*5# and follow the onscreen instructions. This option is only valid for existing wema Bank account holders. Information required are account number, date of birth, new pin and confirm new pin. After the pin has been created, you can begin other banking transactions. To check your account balance using this service, simply dial *945*0# and follow the onscreen instructions. Please dial this code from a phone number already registered in your bank account. This method is fast, convenient and simple. There’s absolutely no need to enter a banking hall or fill any forms to make balance enquiry. There is also no need having to leave the comfort of your home to go check using any ATM machines. All account numbers and balances will be displayed after verification. First, make sure you are using a phone number registered in your account. To transfer money using wema Bank transfer code, dial *945*beneficiary/AccountNumber*Amount#. For example, dial *945*0112572055*5000#. Follow the onscreen instructions. Choose if making transfer to a wema Bank account, or another bank account. The transfer service is available 24/7 and you can only make transfers to other Nigerian banks. Please note that there is a default limit of N20,000. To increase the daily transfer limit to N500,000, you’d have to use WemaMobile app, WemaOnline or Visit the branch nearest to you. Also note that transaction doesn’t require your debit card details. Only your created PIN is required to validate transfer. Using this service, you can buy airtime for yourself, or another person. To buy airtime for yourself, make sure you are using the phone number registered in your account. Thereafter, dial *945*amount# on your phone. For example, dial *945*1000#. The value will immediately be credited to your phone. To purchase airtime for a different number or send airtime to a friend or family using same USSD service, dial *945*recipient’s number*amount#. For example, dial *945*09058188123*1000#. This means you are sending N1000 airtime to 09058188123. Your pin will be required to validate this airtime top up. Please note that airtime top-up is only available to GLO, MTN, Airtel and 9mobile subscribers. There is also a daily recharge limit of N10,000. Do you know that you can create an account from your phone using wema Bank USSD code service? Yes, you can. 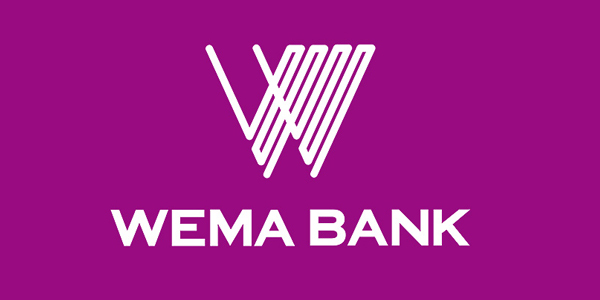 You can open a new wema Bank account without having to fill forms or go to their branch. This is doable right from the comfort of your phone. To open a new wema Bank account, simply dial *945*1# on your phone and follow the onscreen instructions. Details like your first name, last night, date of birth ET cetera will be required. If you want, you can create the account with, or without your BVN. A ten-digit account number will be created automatically and sent to you via SMS once you complete the registration process. For accounts opened using this medium, there are limits. Maximum deposit per transaction is N50,000. Maximum account balance is N300,000. You can remove these restrictions by simply walking into a wema Bank branch and requesting for account upgrade. Having opened a new account, you can generate PIN for mobile transactions by dialing *945*100#. Your account number, date of birth, new pin and confirm pin will be required. Hope this gives you an insight on wema Bank transfer code and how to use the bank USSD service? Any question? Do not hesitate to ask using the comment session.